And now it is your chance to experience it for yourself! 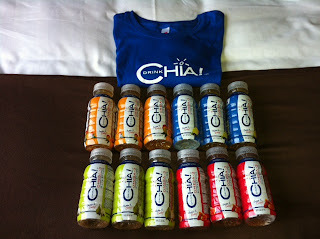 You could win a CASE of assorted flavors of Drink Chia of your own PLUS a Drink Chia T-shirt! I'll be back for this giveaway! Never tried chia but have heard great things! Sounds pretty good! This is the first I have heard of it! Thanks! Yummy I would love to try these. I would love to try this! Never heard of it, but I bet it's good! Got a couple entries in! Hope it's enough to win! I would love to try it! Thanks for the giveaway!